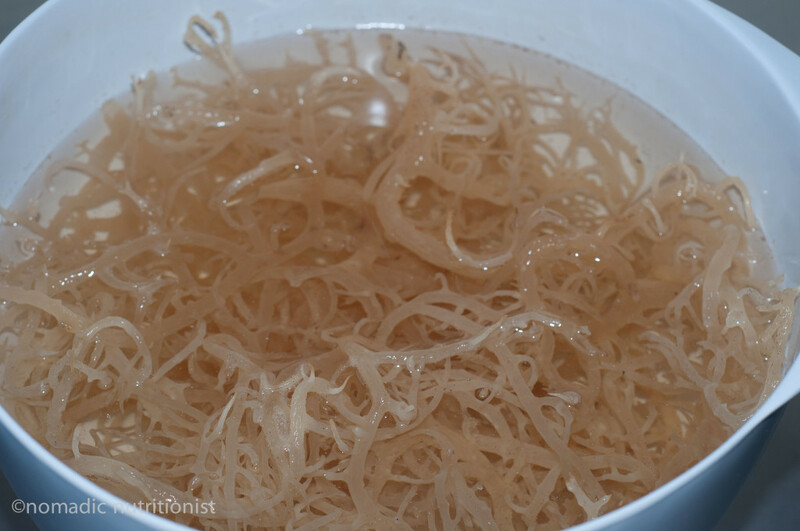 Irish moss, sometimes called Sea Moss, is used as a thickening agent in puddings, beverages and ice cream often when animal products such as eggs or dairy can’t be used, or for those following a raw food diet. It is an ingredient that I’m familiar with as it is readily used in the Caribbean with some claiming that is enhances the male libido! Does it? I have no idea but there’s sometimes a nugget of truth in these old wives tales…. 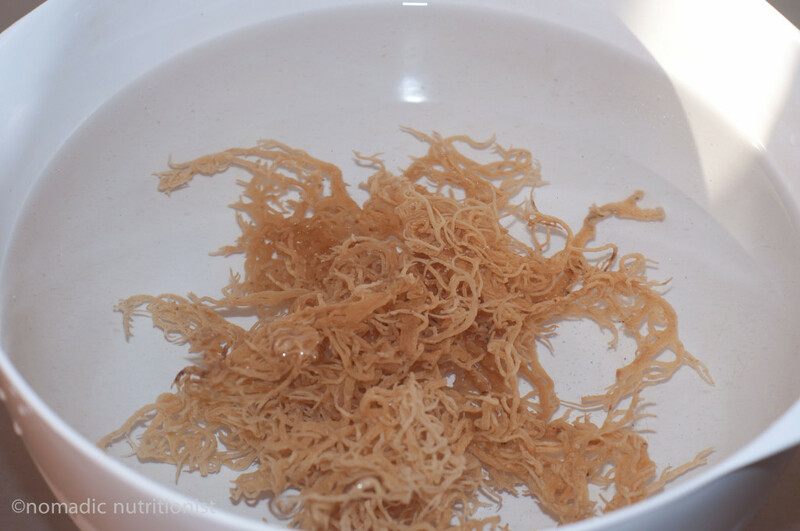 Irish Moss (latin name: chondrus crispus) is a seaweed and in some circles considered healing to the digestive tract, maybe even a superfood. 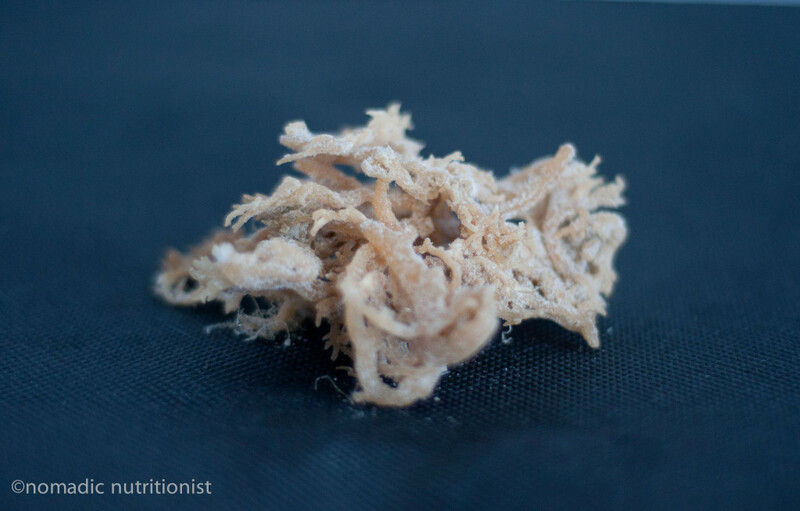 A few years back carrageenan, which is derived from Irish Moss, came under fire in a study that claims carrageenan can cause gastrointenstinal inflammation. I’ve made the choice to continue to consume Irish Moss but it’s up to you to decide for yourself. 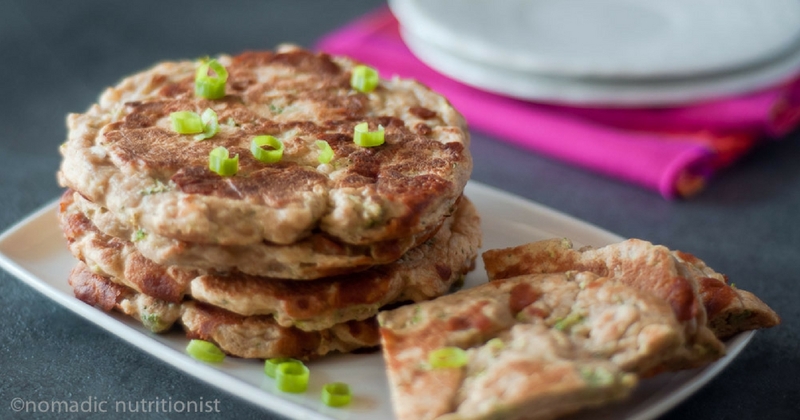 Check out this post from Meghan Telpner for more info on the health concerns of Irish Moss. You’ll usually find dried Irish Moss in Caribbean markets. It might not look appealing and smells a bit (okay, a lot!) like the sea. Never fear, it will all work out. 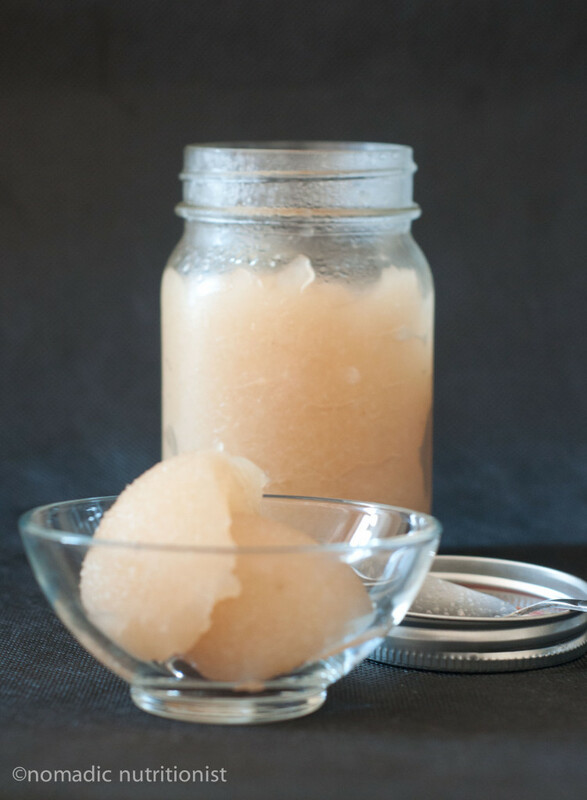 Take a small amount (1 – 2 oz) out of package and give it a good rinse to get the salt off. Put it into a large bowl filled with cool water. It doesn’t look like a lot but this stuff really expands so make sure to use a large bowl filled with water. Cover and leave overnight to rehydrate. Ta da – it’s a bowlful of Irish Moss! Give it another good rinse, making sure to get rid of any salt and sand that may have settled on the bottom of the bowl. Put the moss into a blender with a bit of water and blend. It takes a bit of time to break down and the amount of water used depends on how thick you want the end product. Add more water as needed to get to the desired consistency. Keep in mind that it thickens up a bit as it sits. 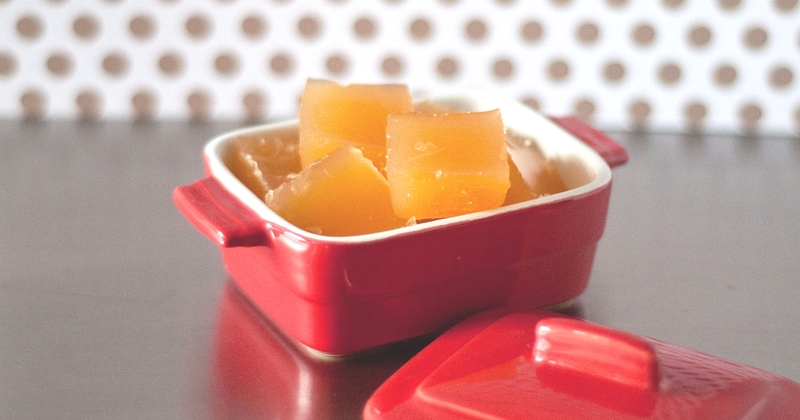 Pour it into an airtight jar and store in the refrigerator for up to 3 days. Use to thicken puddings, beverages and desserts.